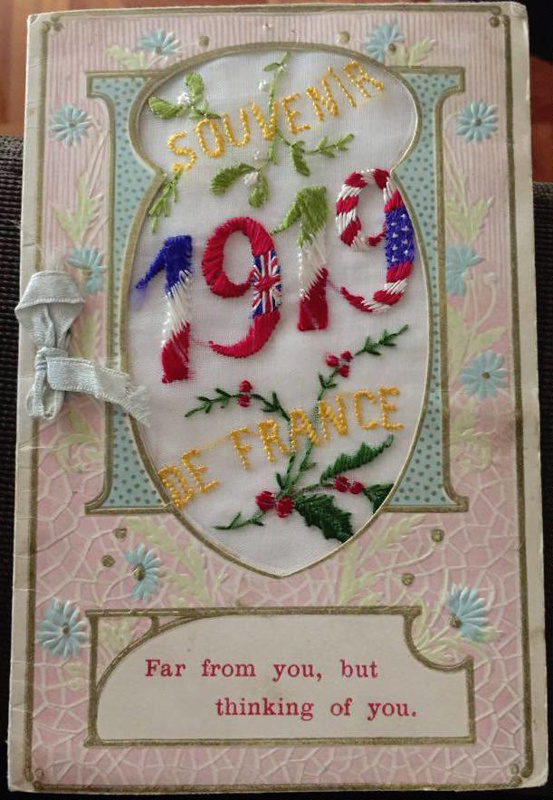 Silk postcard known colloquially as "WWI Silks" were popular between 1914 and 1919. It is estimated that over ten million were manufactured in France and Belgium and sold to soldiers as souvenirs. They were produced in cottage industries primarily by French and Belgian women. Many contain patriotic iconography alongside sentimental words and phrases. They are highly embellished and were most popular among British, American and Australian servicemen in France.